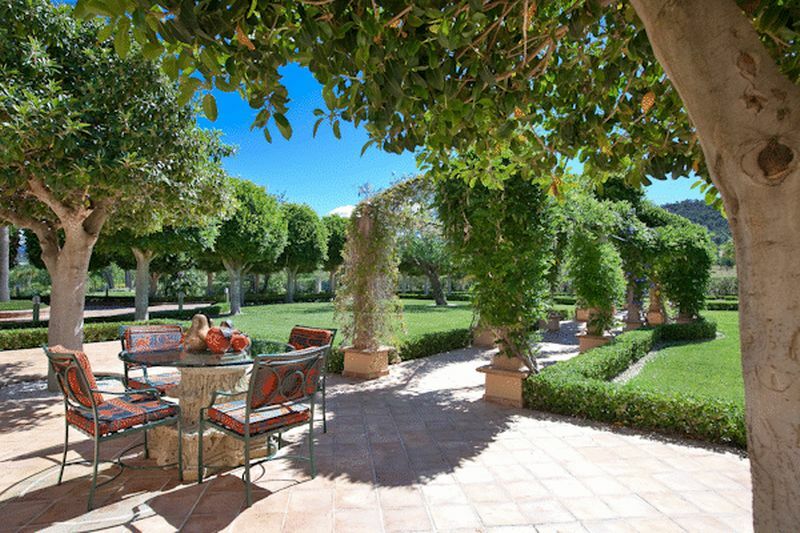 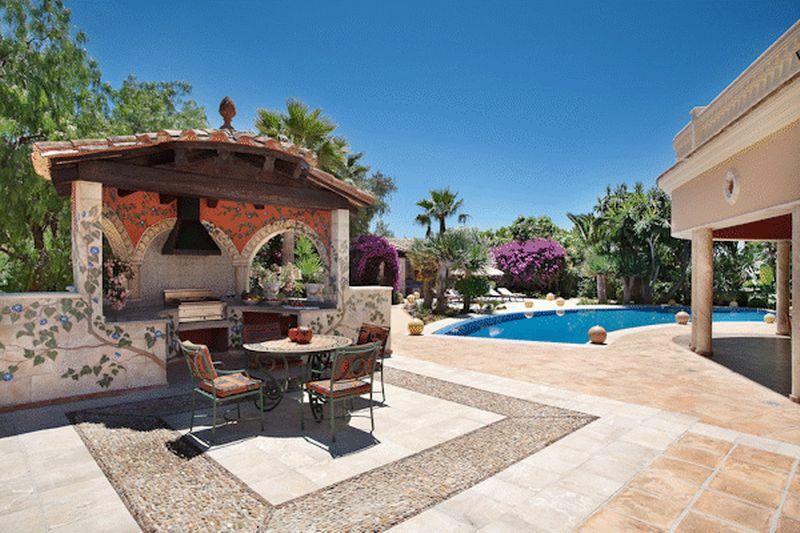 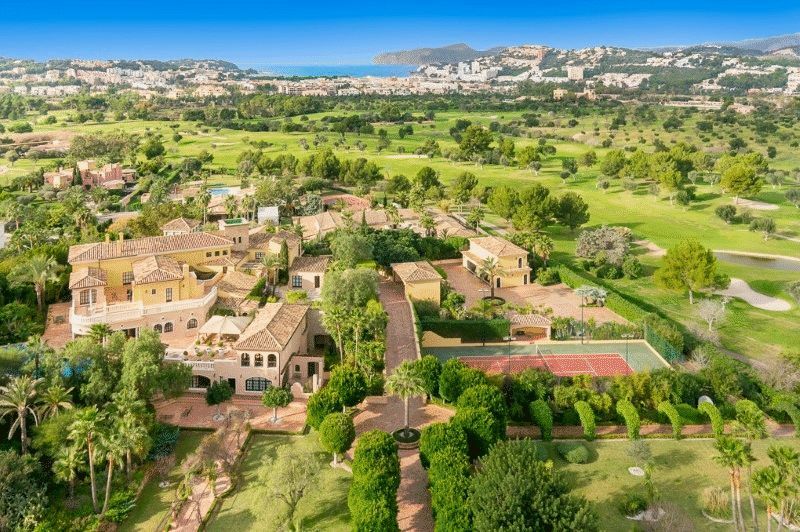 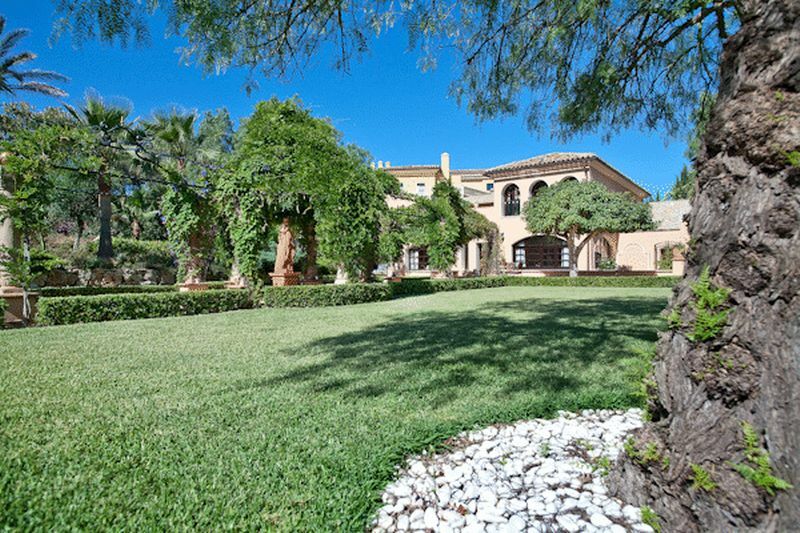 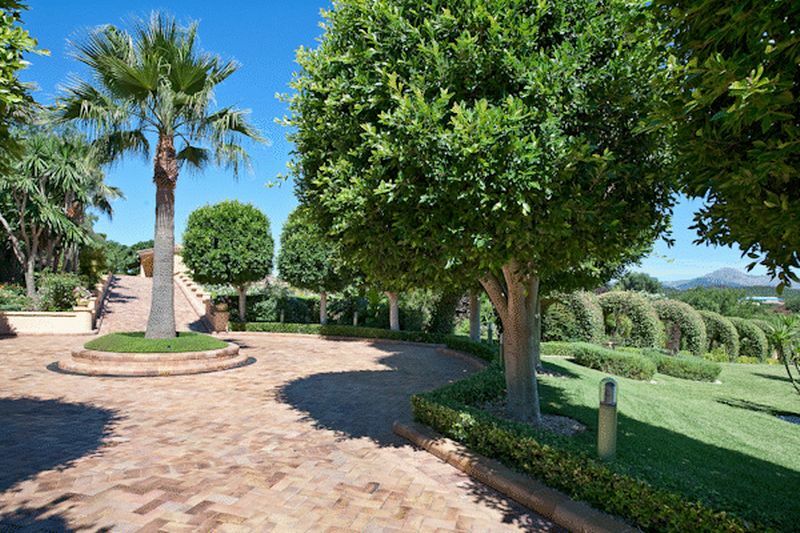 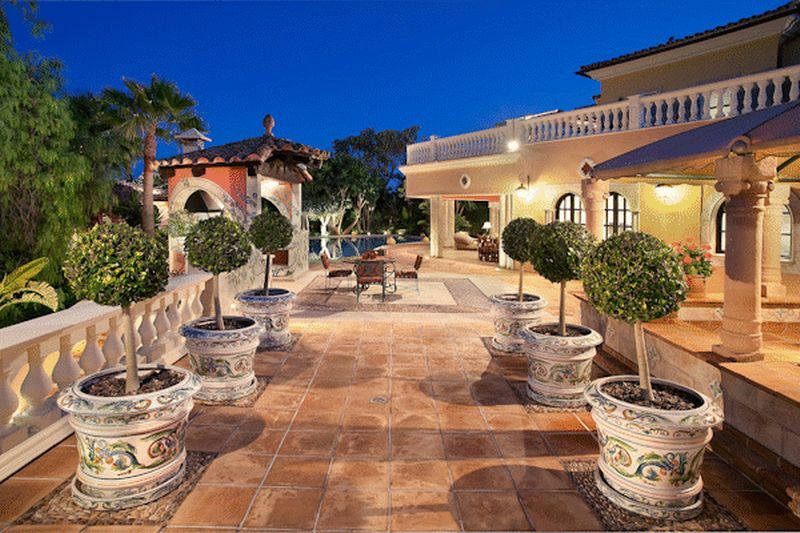 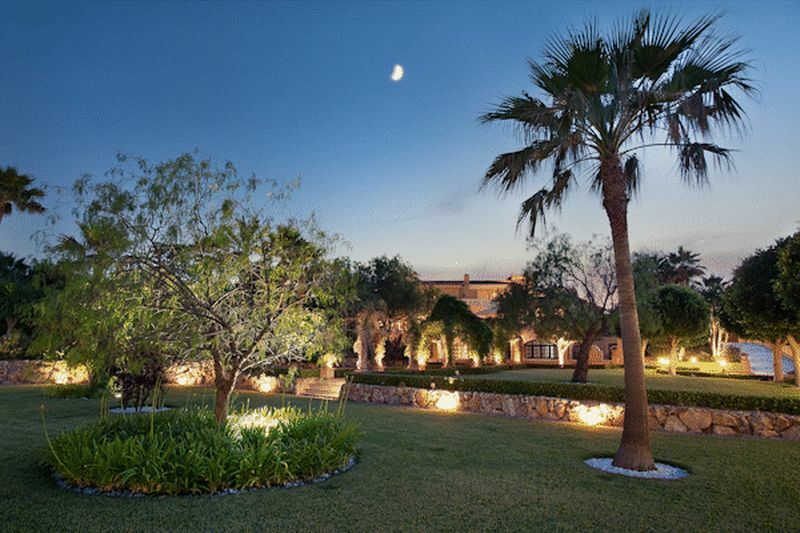 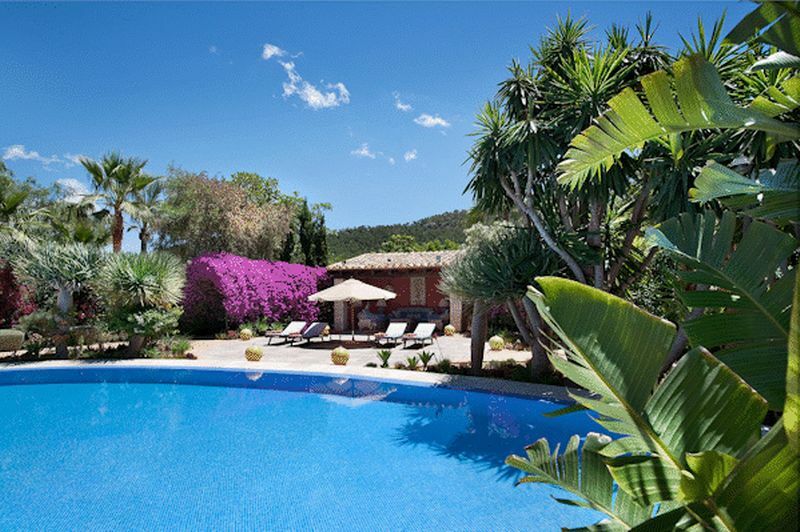 This exceptional property boasts a main property plus four separate apartments for staff and guests, spectacular gardens and pool area and is set within a flat plot of more than 13,000m2 and with direct buggy access to the golf course of Santa Ponsa. 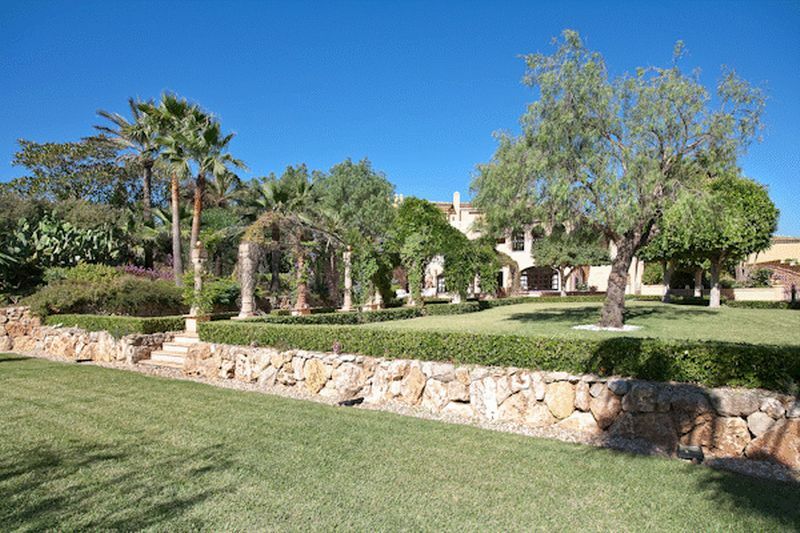 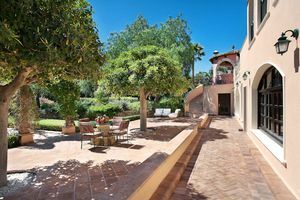 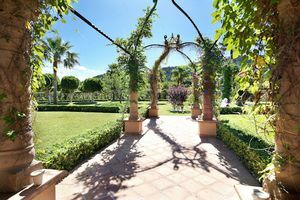 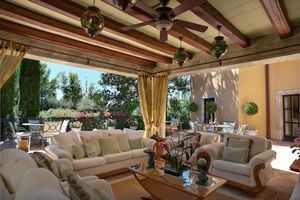 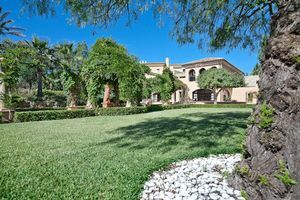 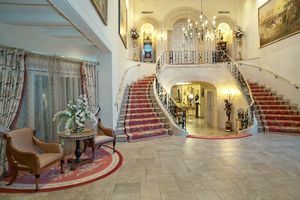 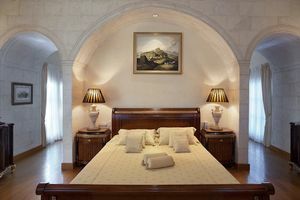 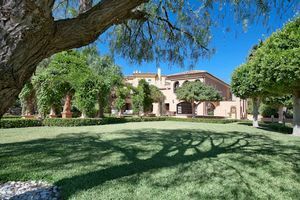 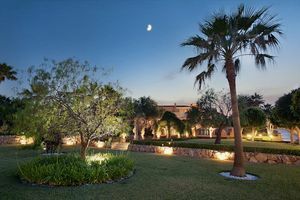 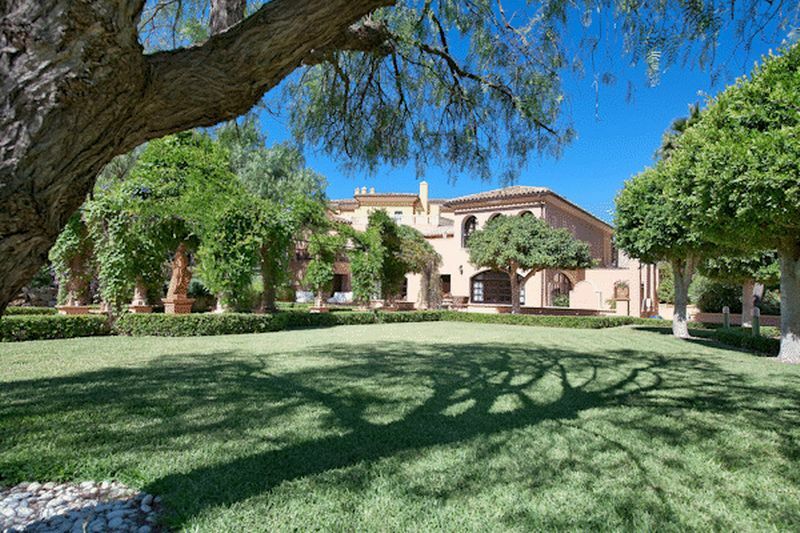 The main house comprises: – Traditional Spanish courtyard with pebble stone floor provides access to the spacious entrance hall with double ceiling height and the impressive double stairway leading to the first floor. The ground consists living room, dining room, kitchen, bar area, TV room. 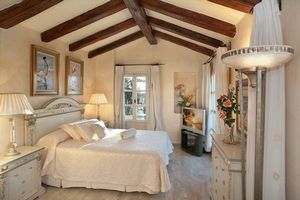 The first floor accommodates the master bedroom with his and hers bathrooms, his and hers dressing rooms, gym and several terraces. Adjacent to the main building, but still independent, there are two apartments. 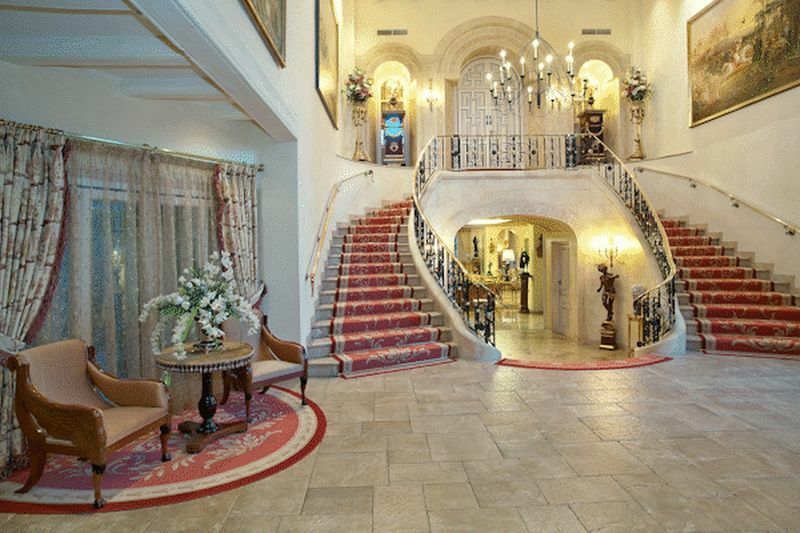 One of them is situated on the ground floor, the other one on the first floor. 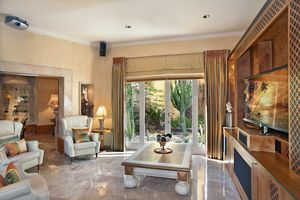 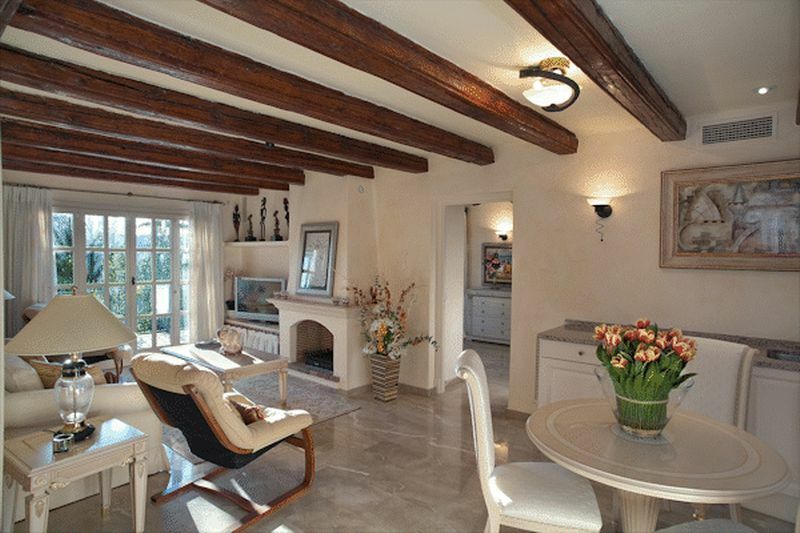 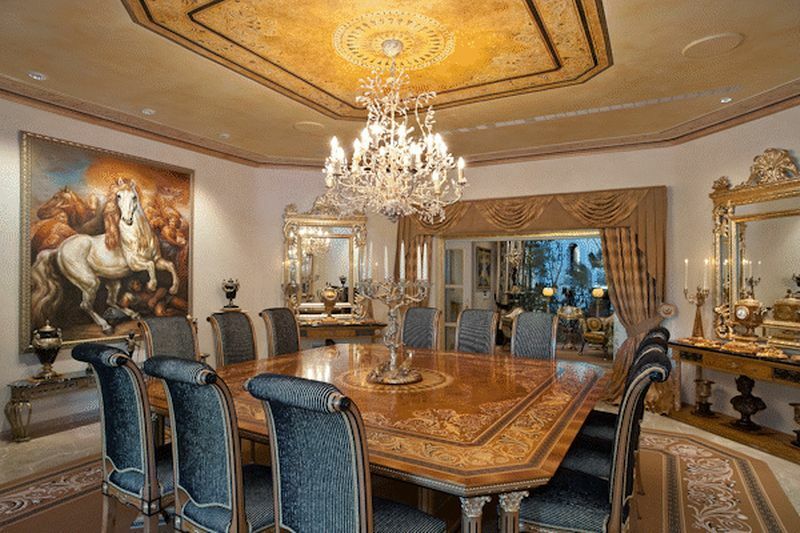 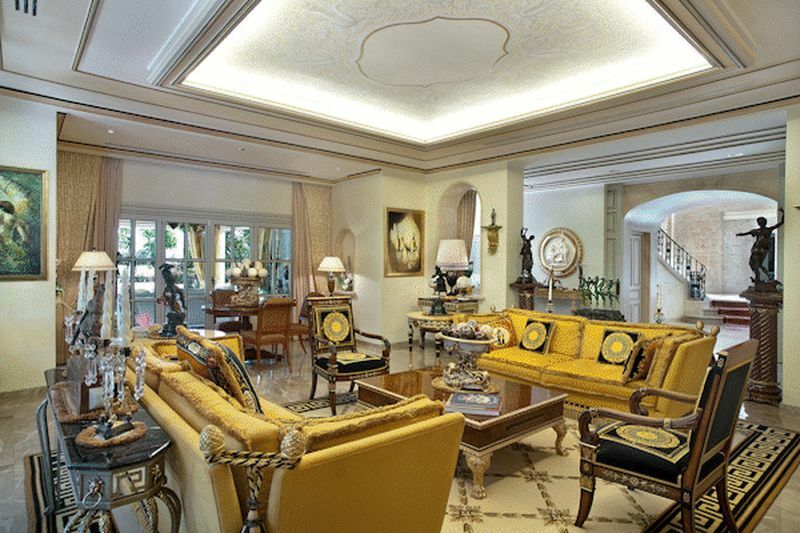 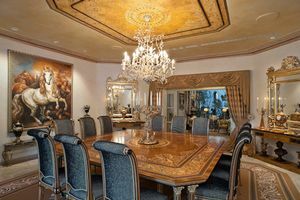 Both of them comprise a living/dining area, bathroom, kitchenette and two bedrooms. The pool terrace comprises a lawn of approx 2,400m2 directly accessible from the kitchen, living areas, the bar and the library. 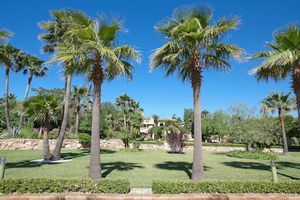 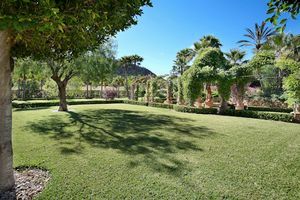 The rest of the garden is planted with more than 90 palms and varous other trees. 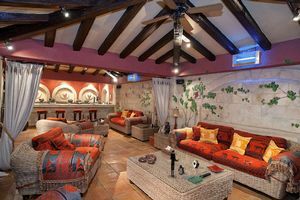 There is also a chillout area with summer kitchen, BBQ and bar. 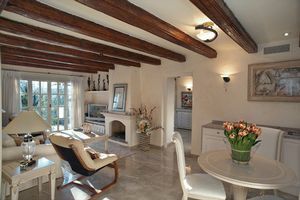 Another guest apartment and a smaller one for staff are located below the pool area. 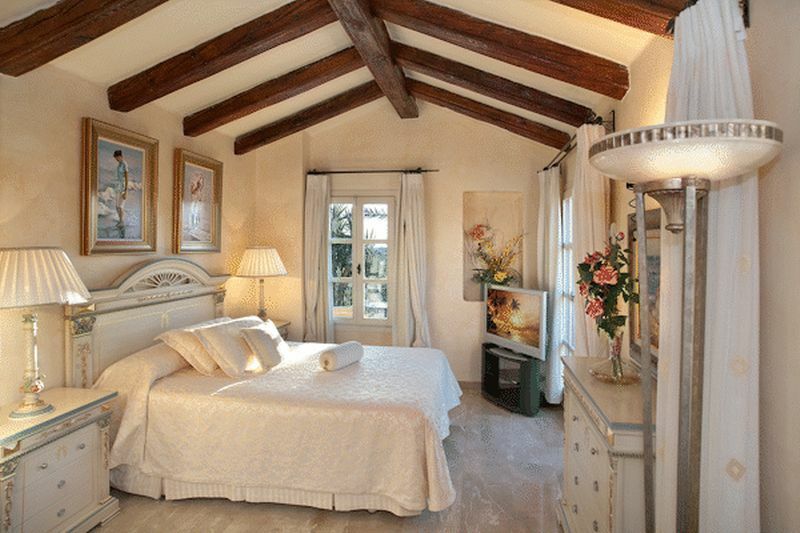 In another separate building, the ground floor comprises a spacious garage and the first another guest apartment. 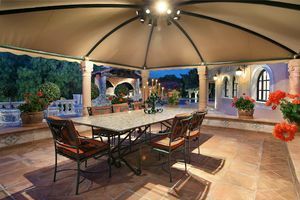 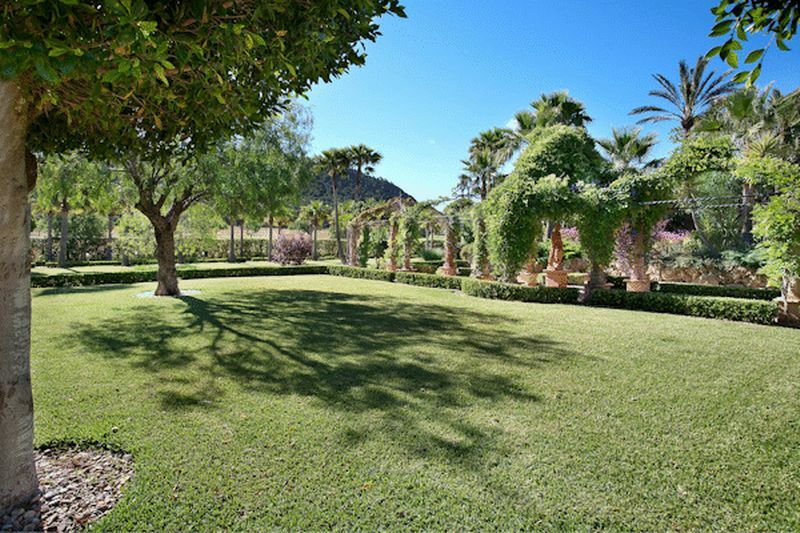 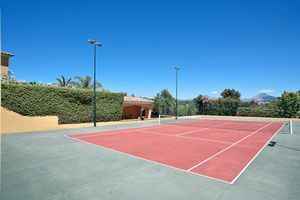 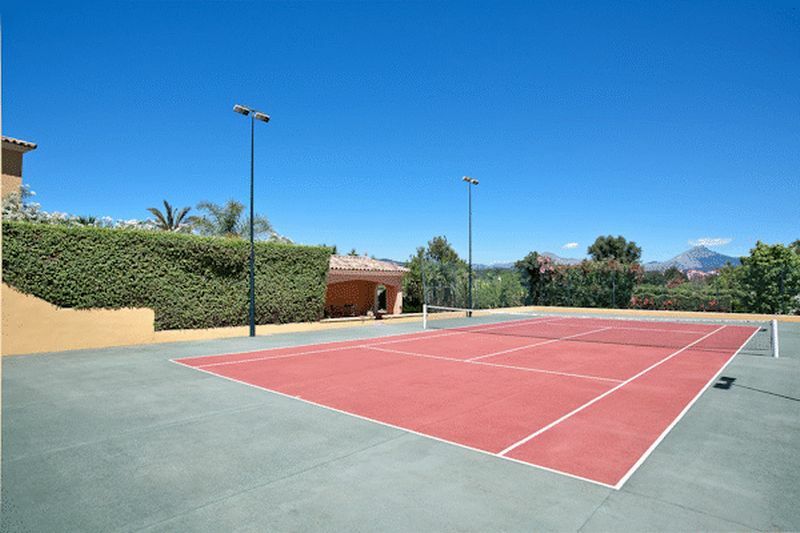 Further extras include a tennis court, an impressive driveway through a very well-kept garden.